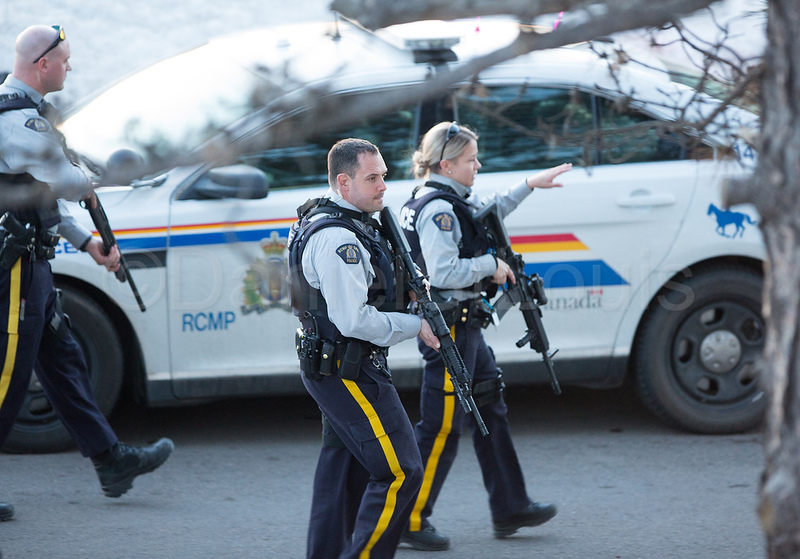 I’m not normally chasing after news photos, but since my experience of the June 4th shootings in Moncton, my interest peaks when I see police and guns. These images were captured tonight (Apr 12,2015) beside my studio on King St near Steadman St , Moncton. What I heard to be firecrackers was thought to be gunshots by other residents of the area. Codiac RCMP responded shortly after with more than twelve police cars. The area was sealed off, well armed officers checked it out and confirmed that they were indeed firecrackers. Many Greater Moncton residence will never again feel at ease with loud bangs in their neighbourhood.